Life has become harder for Afghan refugees in Pakistan after the attack on a school in Peshawar last December that killed 132 students. Media reports say the police have launched counter operations against refugees. The police have ringed camps, and put restrictions on the freedom of movement of refugees, even those who are registered and possess valid identity papers. Men, both old and young, are randomly detained for questioning and forced to confess to crimes they have not committed. Often, while the men languish in jail on trumped up charges, their houses are destroyed and women and children rendered homeless. A recent video, which has been doing the rounds, shows a Pakistani policeman with a bunch of refugee ID cards in his hand; the men, all Afghans, are sitting inside a truck. Asked by the reporter why they are being taken away, the policeman replies very cockily that the cards could be forged, and have to be verified. Until then the men would stay in jail, he says, a process that could take weeks if not months. 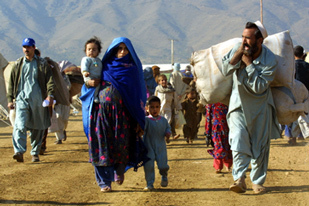 Afghan refugees are being pushed to leave Pakistan. The harassment has become worse since the tragic killing of schoolchildren by Pakistani Taleban gunmen who attacked the school for army personnel on Dec 16, shooting dead many children and teachers, before they were killed. Najib Ekrami, an Afghan activist and refugee in Peshawar, says Pakistani police waste no opportunity to harass refugees. Time and again, refugees have petitioned the UN High Commissioner for Refugees and the local administration, urging them to intervene against the harassment and discrimination but to no avail. “When the police stop a refugee, they keep all his money and let him go. Should he be stopped a second time by another group of police, he would be thrown in jail because he has no money to bribe his way out,” says Ekrami about the police’s modus operandi. Afghan diplomat Misri Khan confirms there are hundreds of Afghan refugees in Pakistani prisons. Officials in the Afghan consulate in Peshawar seem to have no option but to accept the rudeness of the police. On Feb 26, Afghan diplomats were among 28 Afghan nationals detained in a police station in Peshawar. All were picked up from the city’s University Town area, in the course of a search operation for illegal Afghans residing in the country. The diplomats were identified as Third Secretary Abdul Hameed Wahidi, Transport Officer Ghulam Sakhi Azeemi, and Refugees Affairs Officer Dr Alozai and Noor Ahmad Haqjo. All four were later released, along with 23 others. Only one of the 28 detained in the raid was taken into custody. “He is under interrogation,” a University Town police official told the media. Even detention of diplomats is against the Geneva Convention. Political commentator Rezwanullah Basharmal has been quick to condemn the government’s silence. 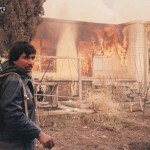 “The refugees are people of Afghanistan, and have gone to Pakistan due to compulsion. When they are in a tough situation, such as now, they could become alienated (from both governments),” he warns. A total of 2,765 cases of violence against women and girls were reported to the rights watchdog from different parts of the country, AIHRC official Latifa Sultani told Pajhwok Afghan News.